Nicola is Head of Student Fees and Funding at the University of Oxford, with a particular focus on graduate scholarships, fees and US Loans. She has worked at Oxford for over 10 years, including time as Senior Tutor and Tutor for Admissions at Wadham College, and leading the Examinations & Assessments section for the University. 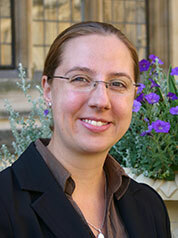 Before joining the University of Oxford, Nicola worked at Newcastle University, and at the University of York.